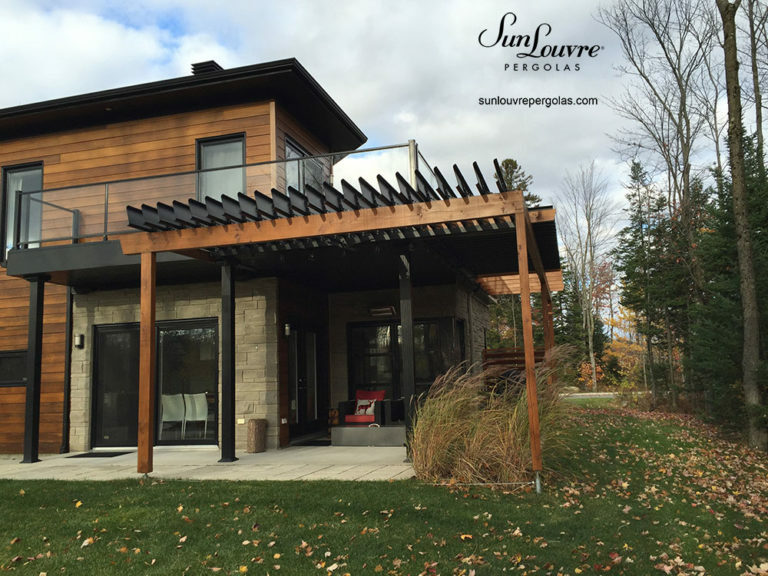 A market leader in Québec, ID 224 has manufactured the SunLouvre Pergolas product since 2011 – a trendy, high-end garden roof concept made of aluminum with adjustable louvers. 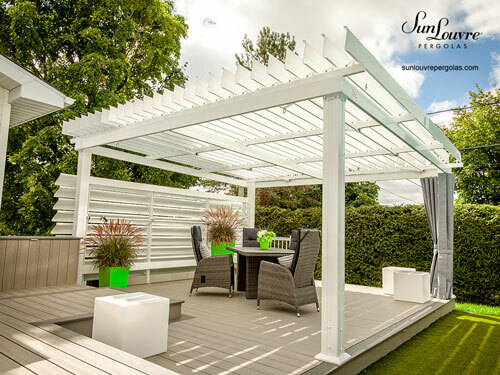 The easy opening and closing mechanism makes it possible to transform any outside area into an outdoor living space protected from sun and rain. 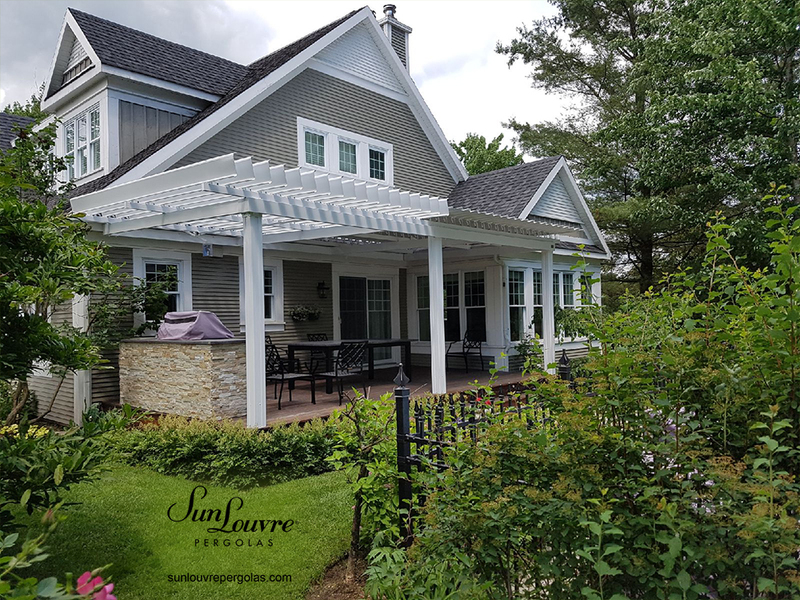 Pergola projects are custom made to maximize the exterior space and harmonize perfectly with the environment. 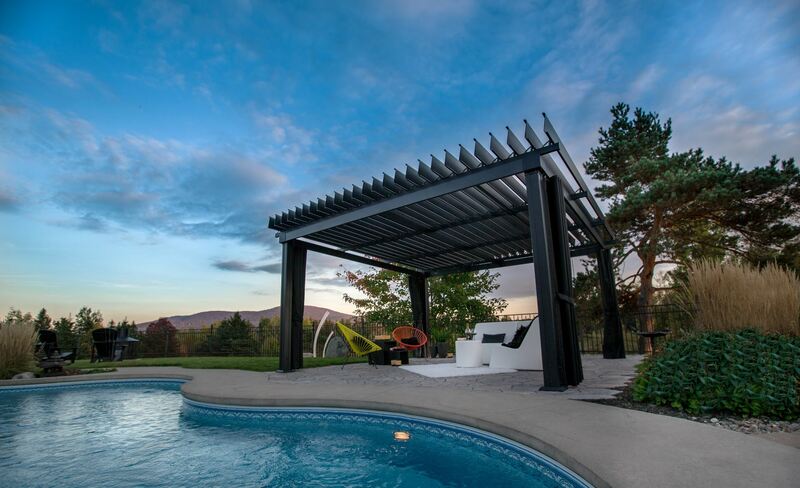 Made in Québec with a 10-year warranty, our pergolas offer great versatility to answer everyone’s needs: hotel, restaurant, spa, condominium, private home, outdoor common area, commercial building, rooftop. 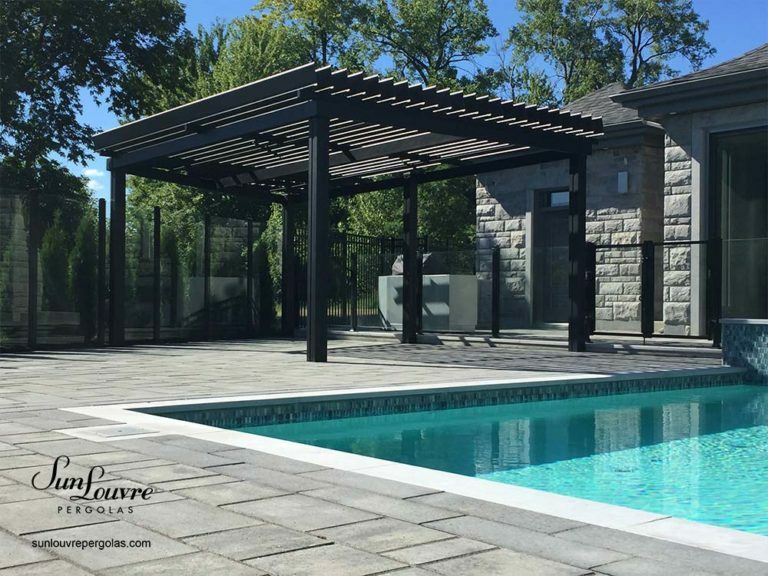 Thanks to its know-how, experience and investments in research and development, ID 224 today excels at the manufacture of pergolas with adjustable louvers, and is widely reputed for its personalized customer service. TO SEE ALL OUR VIDEOS. 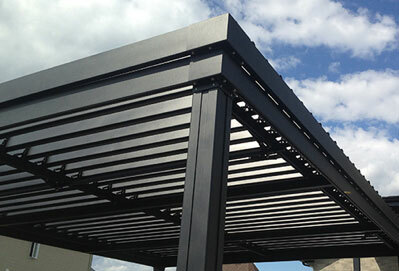 Louvers are installed over the roof structure. More flexibility for the posts position. Rainwater flows at the end of the louvers. Wind resistance up to 160 km/h. 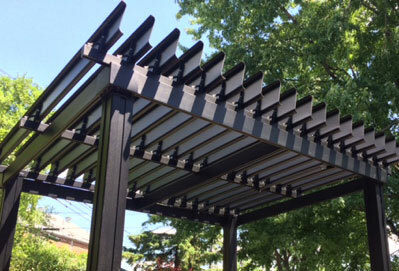 Louvers integrated inside the roof structure. 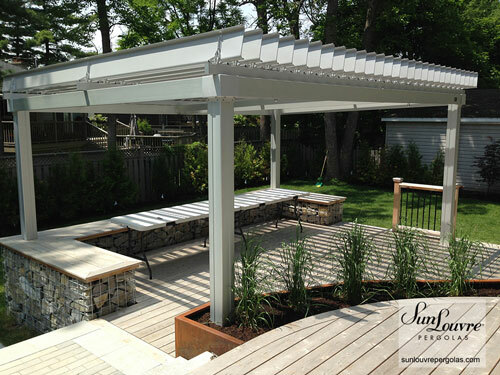 No louvers or mechanisms are visible when the roof is closed. 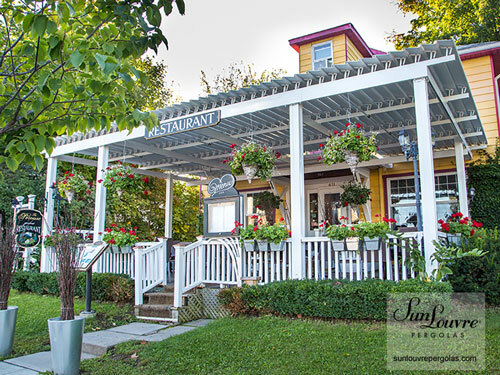 Rainwater flows inside the beams. Wind resistance up to 200 km/h.